Transformers: Armada, known in Japan as Super Robot Lifeform Transformers: Micron Legend (超ロボット生命体トランスフォーマー マイクロン伝説, Chō Robotto Seimeitai Toransufōmā Maikuron Densetsu? ), is the Transformers animated series, comic series and toy line which ran from 2002–2003, as originally scheduled in 2001 as indicated, But in fact, there's been delayed from early-2002. 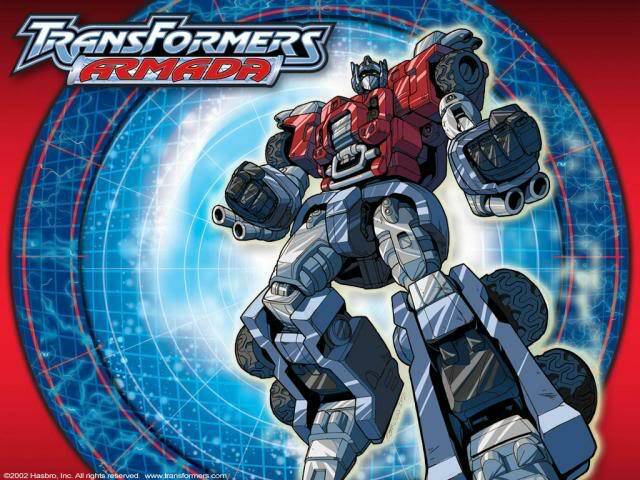 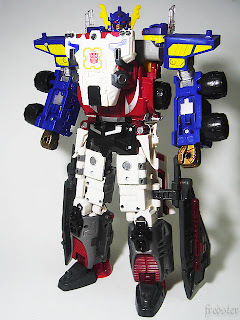 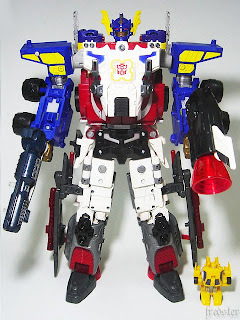 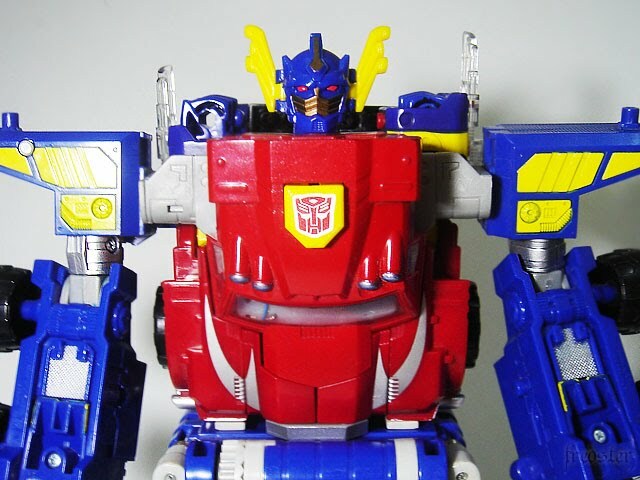 As the first series co-produced between the American toy company, Hasbro, and their Japanese counterpart, Takara, Armada begins a new continuity/universe for Transformers, with no ties to any of the previous series, after the following series of Transformers: Robots in Disguise on after 2001. 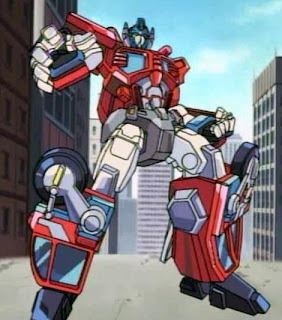 The show was criticized by some for having a simplistic plot and one-dimensional characters, but also has a devoted cult following, particularly for its later storylines incorporating Unicron and for its atypical depiction of the longtime fan favorite character Starscream. 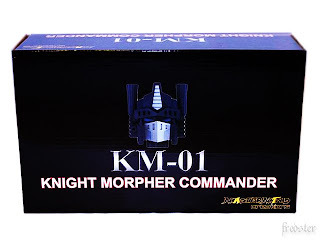 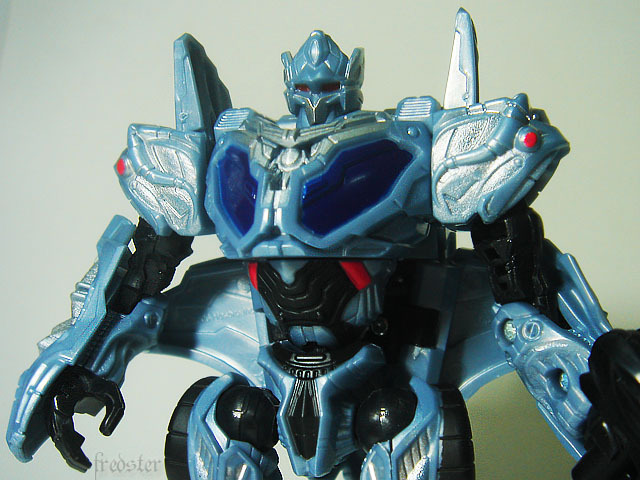 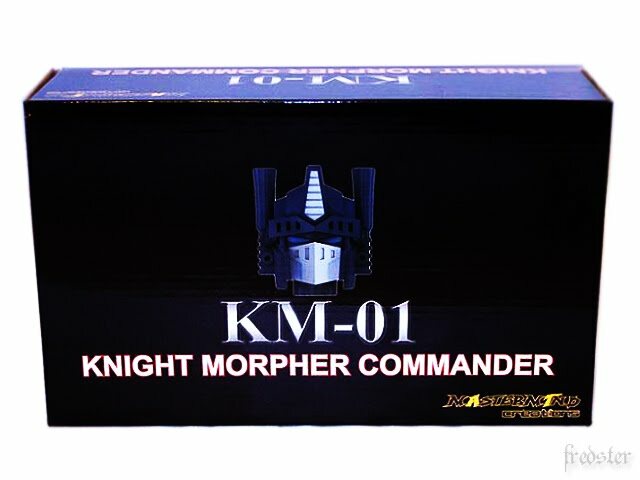 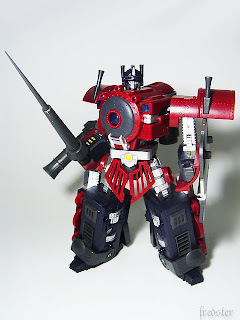 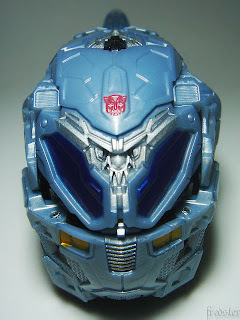 Ultimately, it is one of the most highly debated Transformers series in terms of quality. It would go on to birth a sequel in the form of Transformers: Energon. 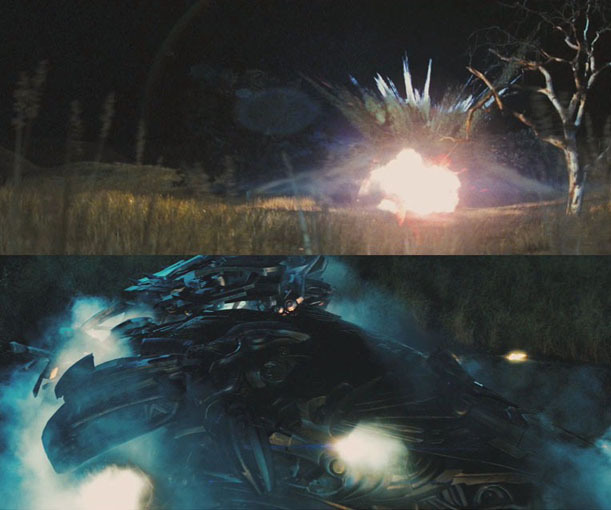 In the 2007 live-action film Transformers, Autobots en route to Earth change their alternate modes into structures called space travel pods and enter the planet's atmosphere in the same way as a meteor. Thereafter, the Cybertronians change to a humanoid shaped endoskeleton structure known as Protoform. 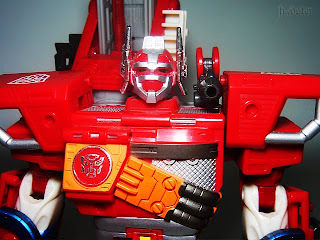 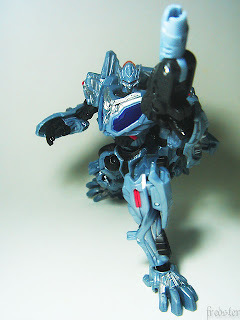 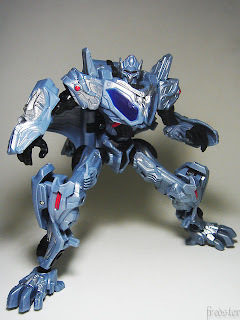 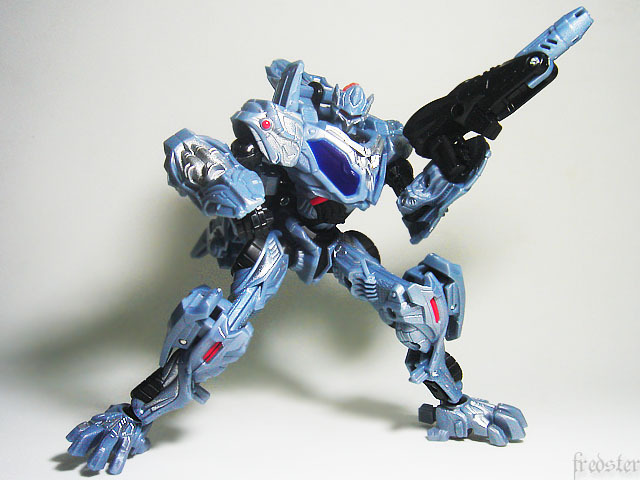 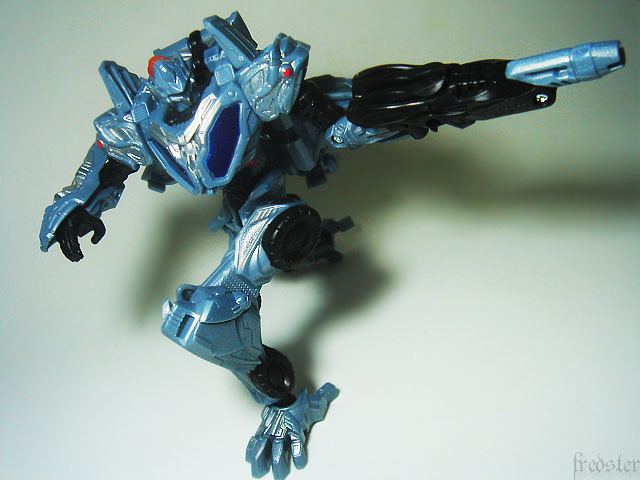 Once they arrive, Cybertronians in protoform state will transform into an equally detailed yet generic & undefined robot mode to allow them more stable ground mobility in order to search for an adaptable disguised form (aka vehicle mode); upon which scanning and replication are initiated and completed within seconds, giving them their now-unique physical characteristics. These near-identical transformable skeleton-like forms are referred as protoforms. A protoform retains the same mass as the final appearance of a Cybertronian with a chosen vehicle mode after scanning & replication are complete, so one protoform can be larger and/or smaller than another. 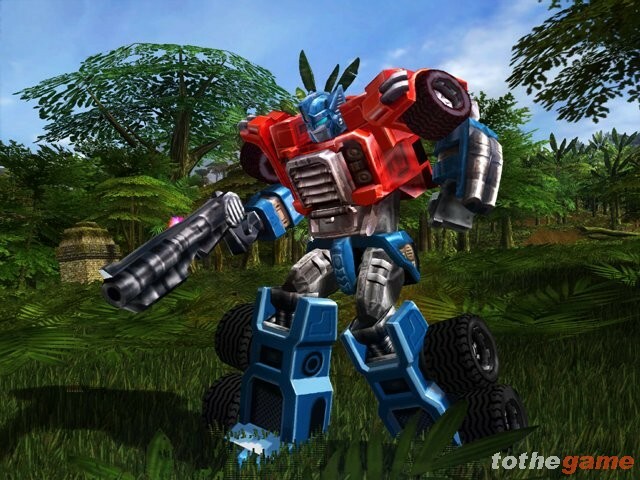 Transformers: Robots in Disguise is an anime series which has an associated toy line released in 2001 by Hasbro. 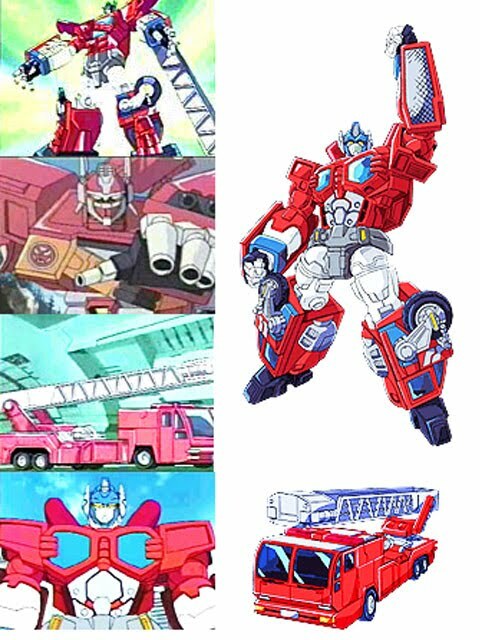 The anime and toy line were originally released in Japan in 2000 by Takara as Transformers: Car Robots (トランスフォーマー・カーロボット?). 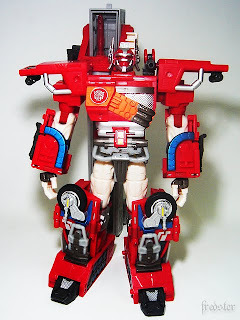 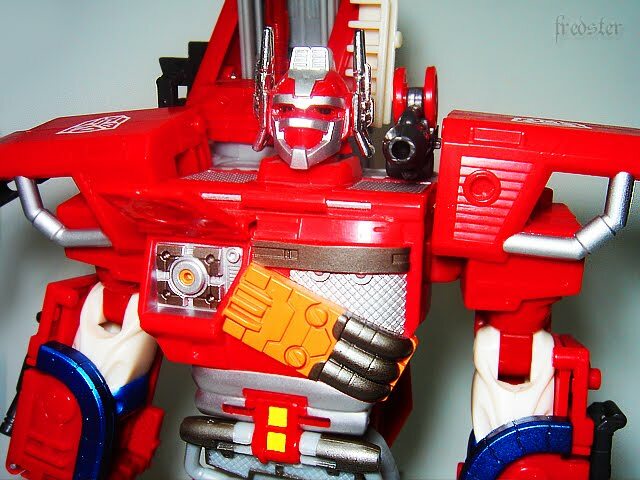 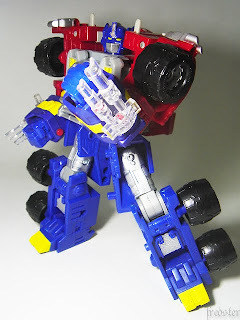 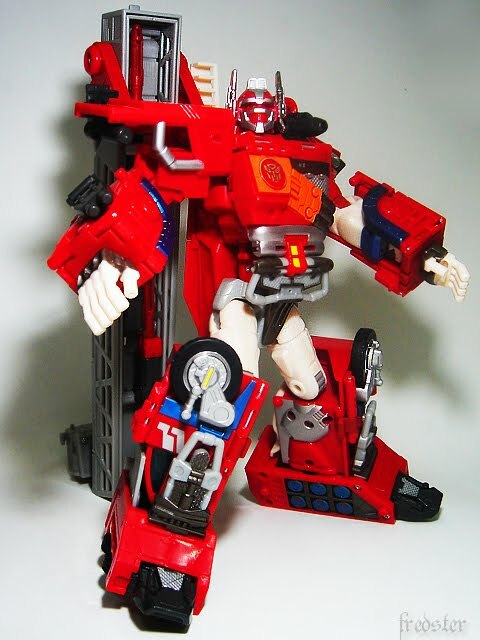 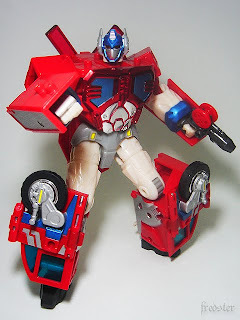 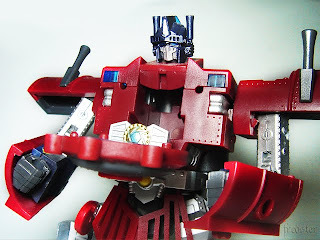 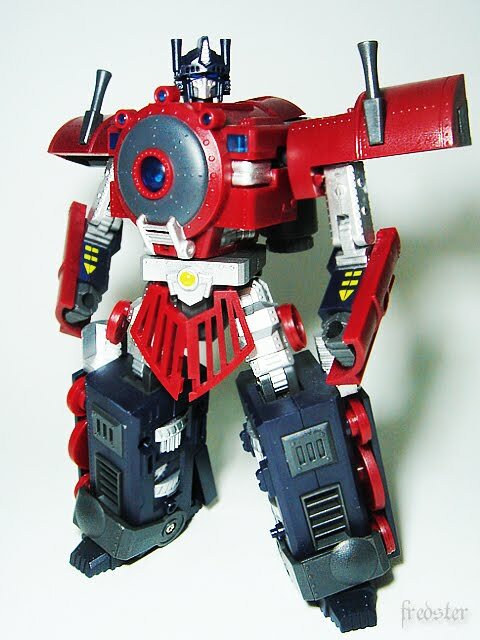 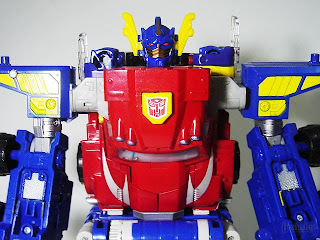 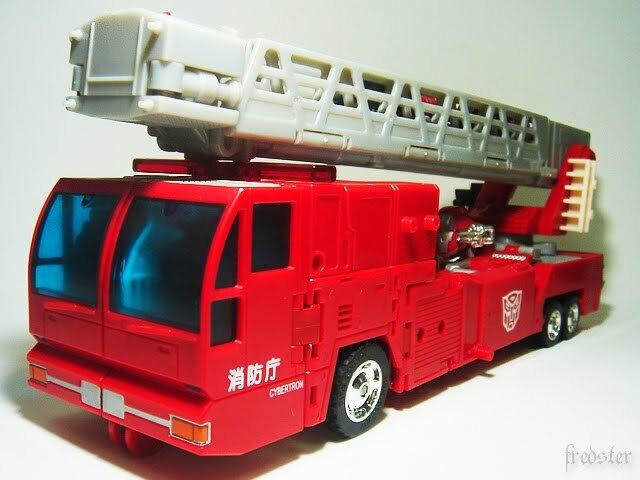 The Robots in Disguise version of Optimus Prime transforms into a modern fire truck. 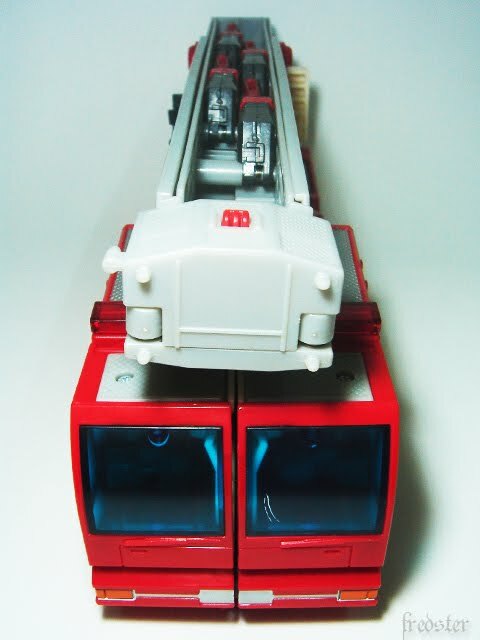 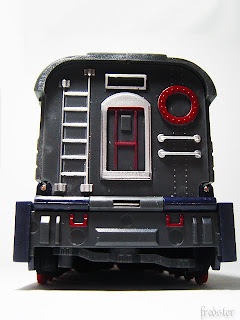 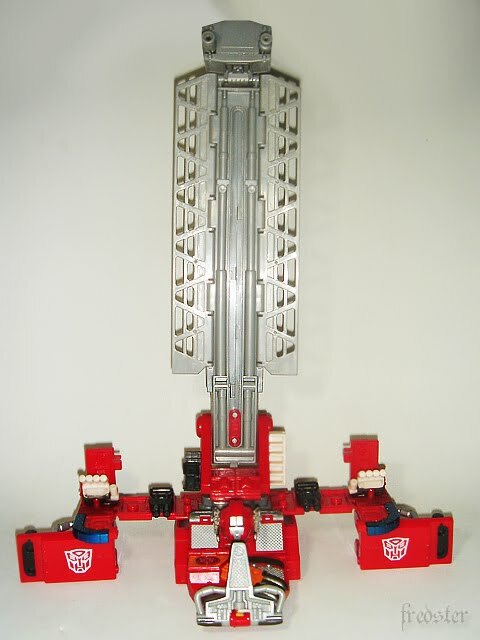 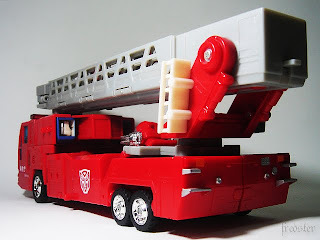 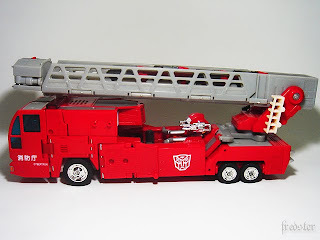 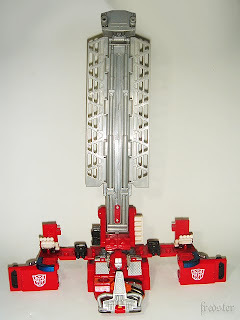 The fire truck divides into two halves, of which the front half transforms into Optimus Prime's robot mode, and the rear half transforms into a battle station with facilities for field repairs. 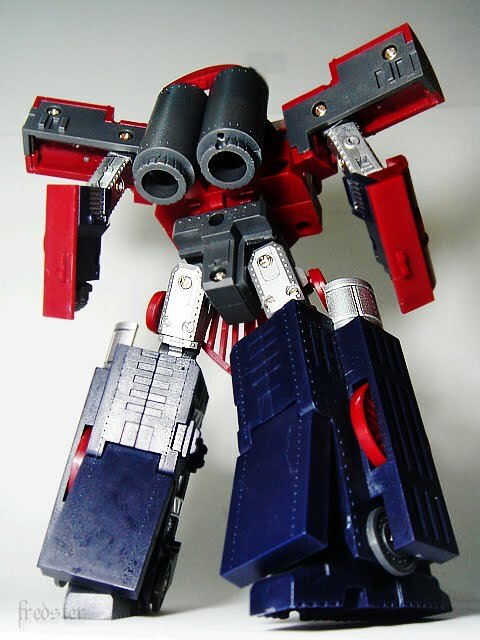 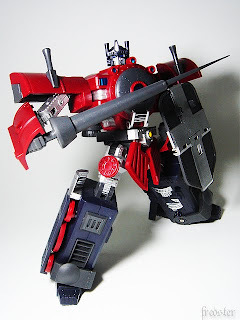 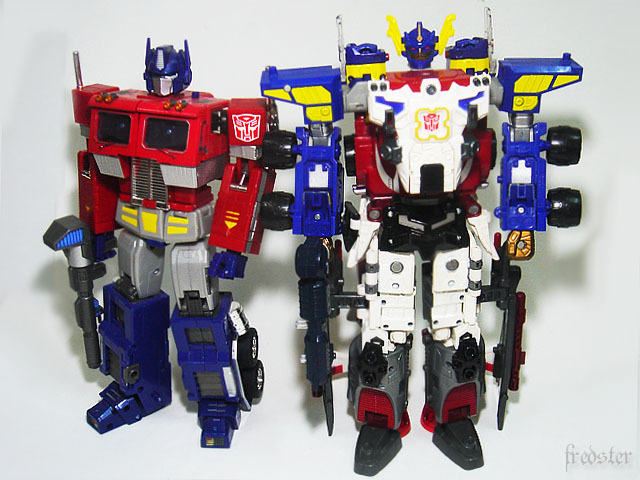 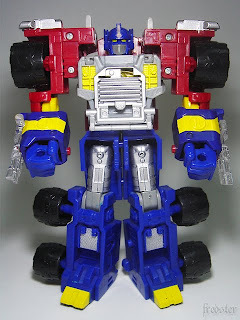 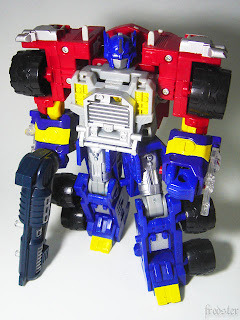 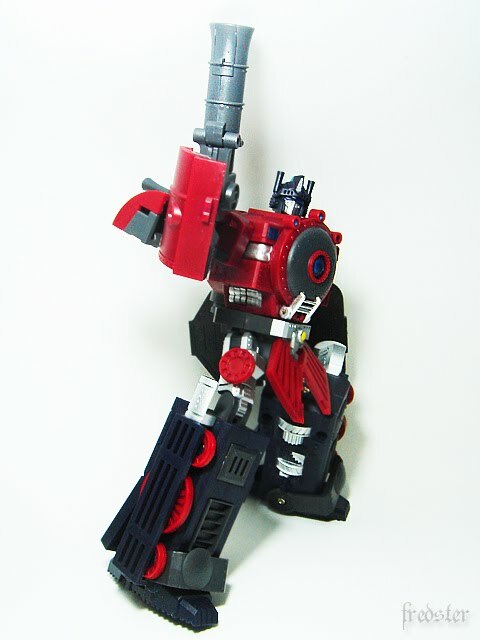 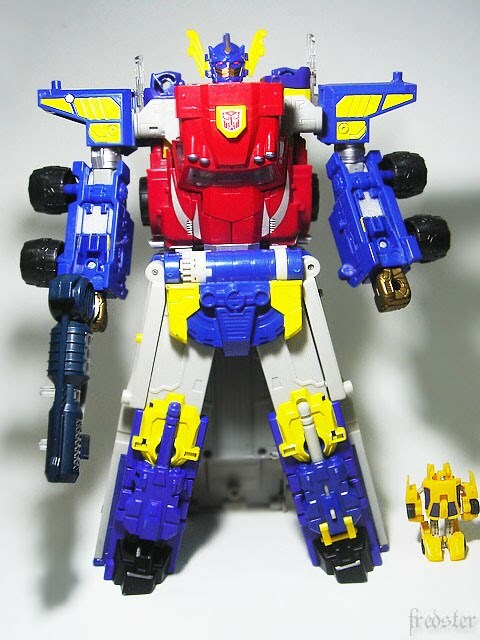 In robot mode Optimus Prime can combine with the trailer module to increase his size and strength. 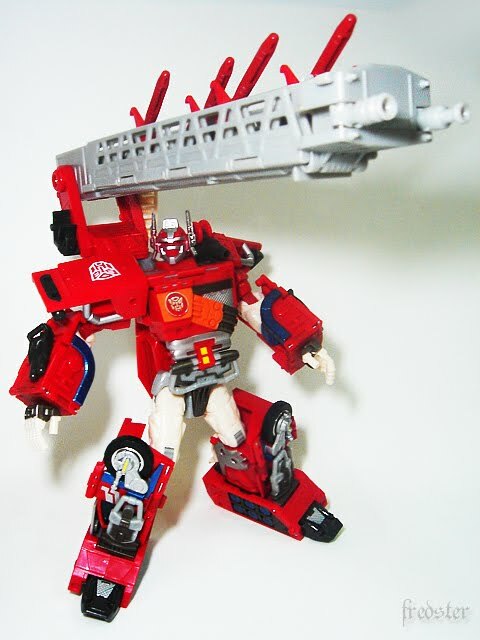 In this mode he is loaded with weapons, of which one is the giant water cannon within his ladder. The jet from the water cannon has an enormous force, so strong that it can send its targets into orbit. 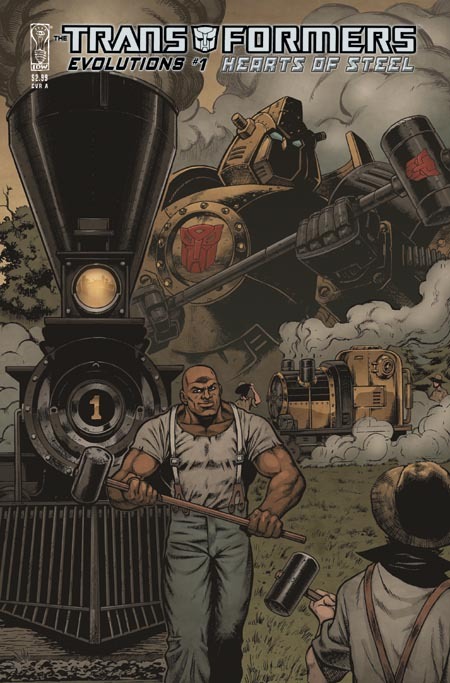 The time period allows for appearances by human characters such as Mark Twain, Jules Verne and John Henry. In the series, John Henry is a large bald man who drives spikes into the ground while laying track for the railroad. His hammering wakes up the Autobot Bumblebee who along with the rest of his squad lay deactivated deep within tunnels below the earth. 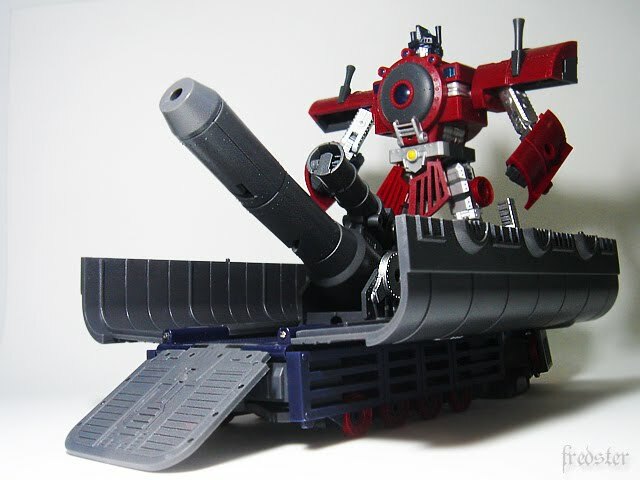 Bumblebee is almost caught by John Henry until Bumblebee changes into an automated spike-driving machine. 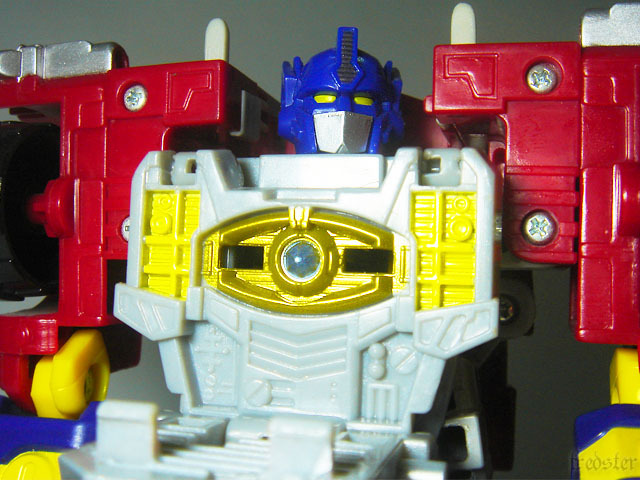 Here he is portrayed as being fearful of being replaced by modern machinery. 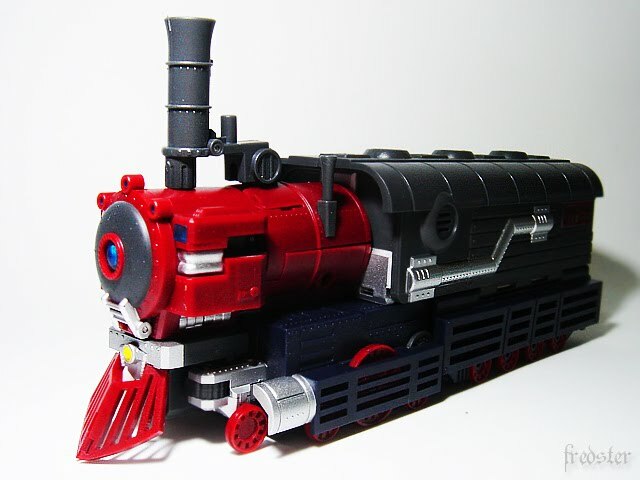 Others featured include famous authors Mark Twain and Jules Verne, who view Muldoon's submarine. Twain later becomes a staunch ally of Muldoon after the Decepticons betray him. 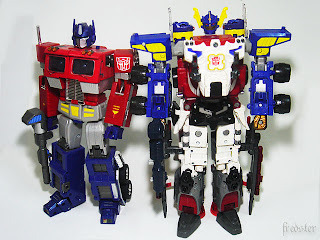 Only four Autobots were mentioned by name in the series: Bumblebee, Ironhide (in the TPB when he gives his name it was changed to Sideswipe) and Optimus Prime although he did not appear, though others are recognizable as G1 Generation 1 characters, introduced as toys in 1984. 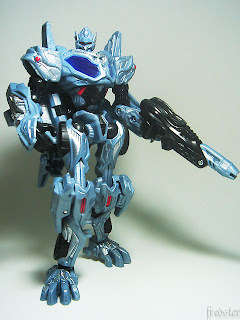 The opposite is true for the Decepticons, with many being named. Others are left unnamed but are recognizable such as Ravage. 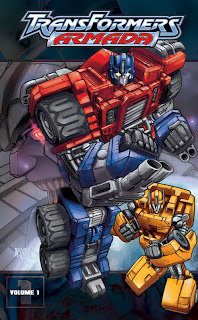 The story begins with the Autobots and Decepticons waging war on Earth around the time of a previous ice age. 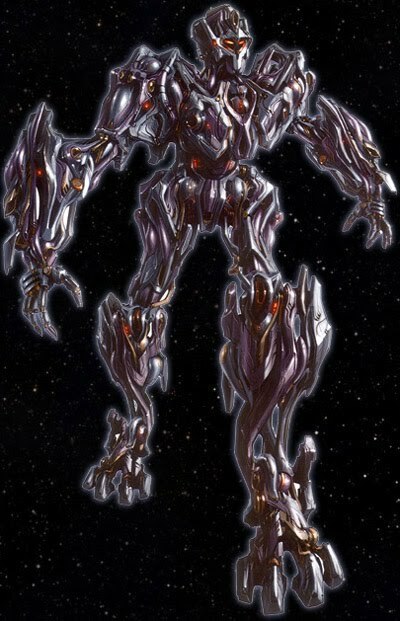 No explanation is given how they arrived on Earth, but their alternate modes are metallic fantasy beasts. 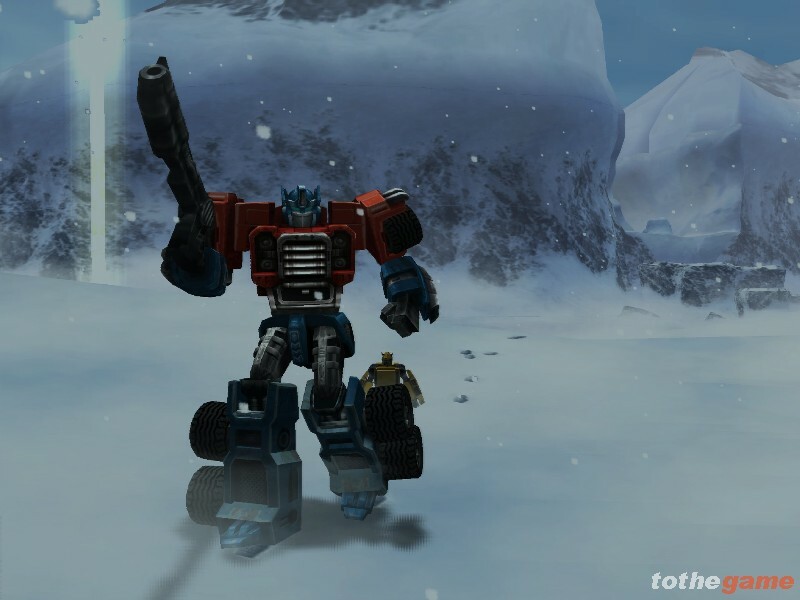 The freezing temperatures and lack of energy forces both sides to take shelter and lie dormant for eons. The Autobots retreat to a cave while the Decepticons are later seen underwater. 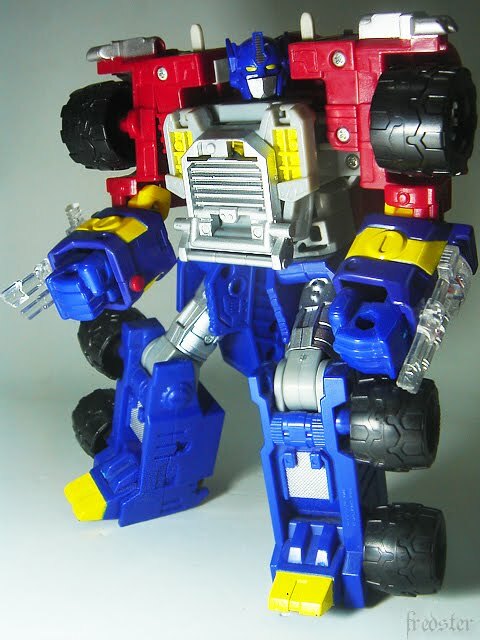 At some point during the Industrial Revolution, noise outside their cave awakens the Autobot Bumblebee. He ventures outside the cave to discover the planet's new dominant species — man, and that they have developed steam powered technology and the capacity to build railroads. He observes some men, featuring the famous John Henry enjoying the labor of driving spikes into the ground for a new railroad. 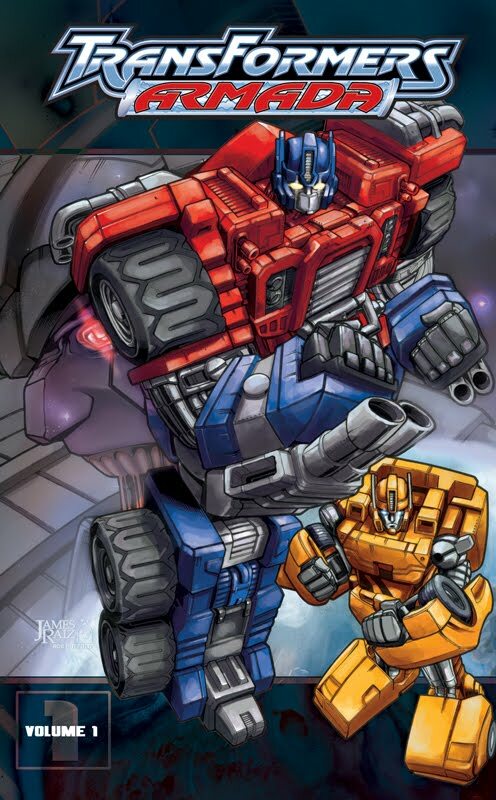 Bumblebee changes his alternate form to be a steam-powered spike driver and helps the humans who are unaware of his true robotic nature. Meanwhile, the Decepticons awaken and start plans to take over Earth. 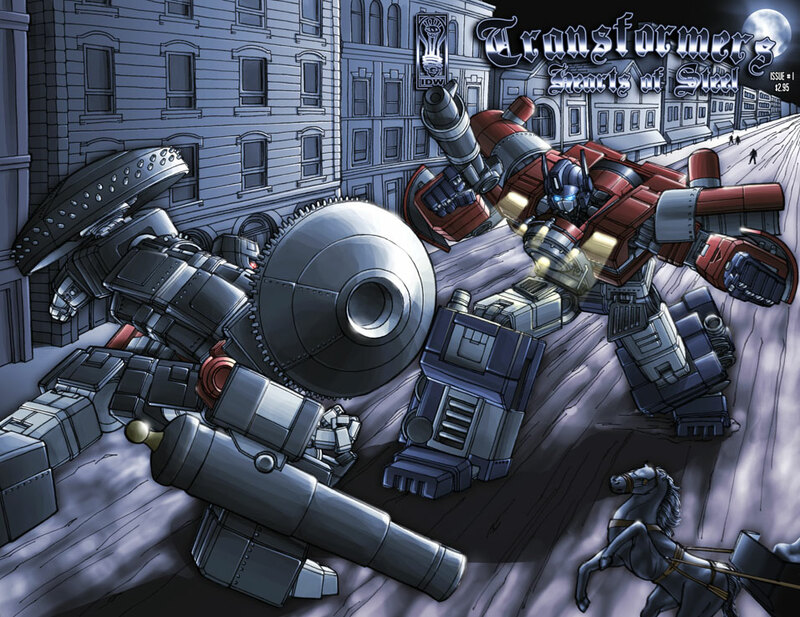 Starscream is acting commander while Megatron is still powered down, predictably planning to destroy him while he is inactive and defenceless. 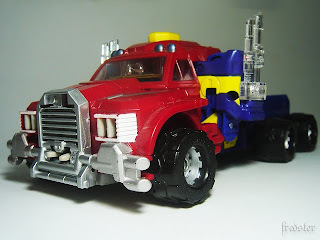 When Shockwave approaches failed inventor Tobias Muldoon to assist them with the technology of the age, the Decepticons begin their plans in earnest. 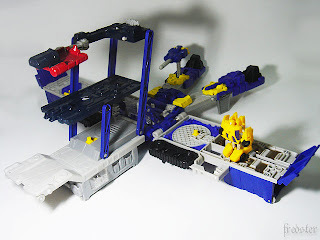 The Insecticons, who transform into a combined battle train, rob a bank train to help fund the building of their base. John Henry finds out about the Decepticon train robbery and informs Bumblebee, who then tells his fellow Autobots. 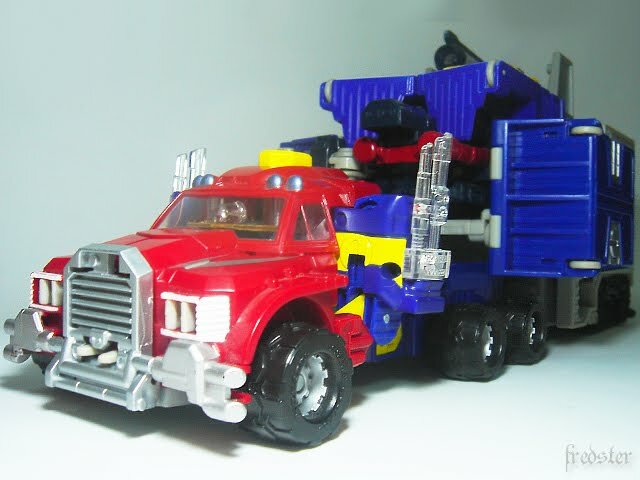 Muldoon, meanwhile has realized Starscream's true intentions. 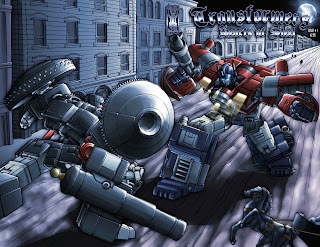 Gathering support from the author Mark Twain after Ravage tries and fails to kill him, Muldoon and his friends aim to stop the Decepticons from reaching New York and capturing an experimental electrical generator, which Starscream plans to use to destroy Megatron. 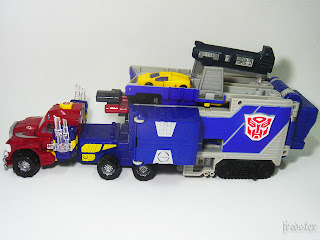 Linking up with Henry and the Autobots, the heroes survive an attack from Scourge (reconfigured as a Zeppelin) and manage to divert the Decepticon train convoy into a chasm. 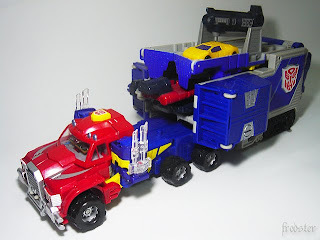 The Autobots return to hibernation as the humans speculate on their fate. In addition to their original alternate modes as fantasy beasts, the Transformers later adopt alternate modes appropriate to the era in which they awaken. As mentioned, Bumblebee becomes an automated spike-driver and the other awakened Autobots become locomotives or train cars. 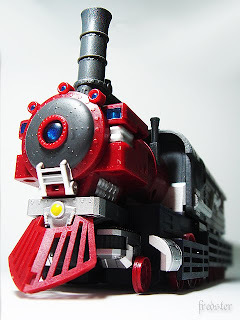 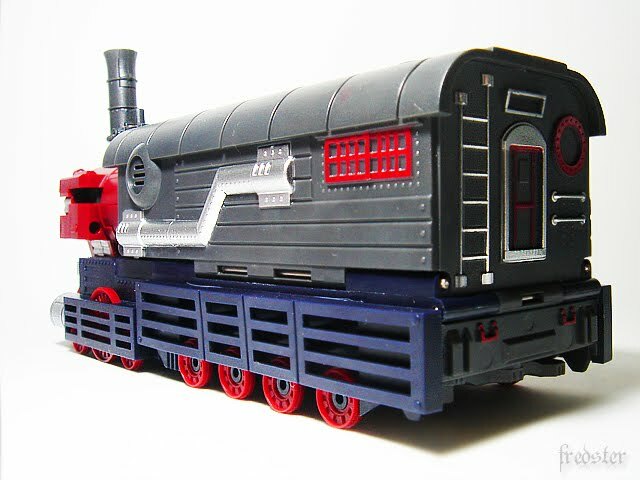 The Decepticons are a bit more varied, although many of them also transform into train cars. 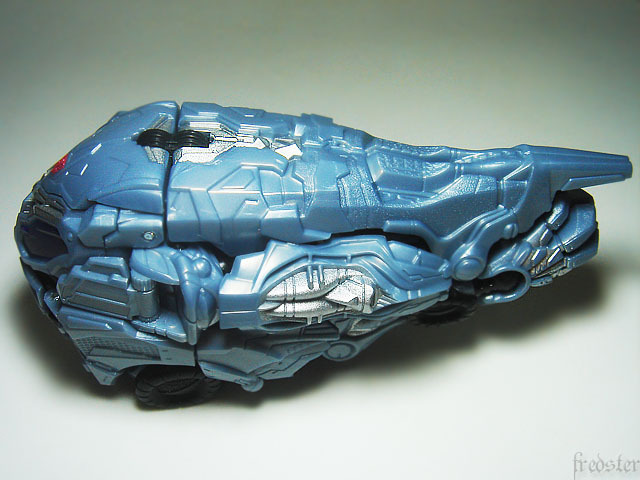 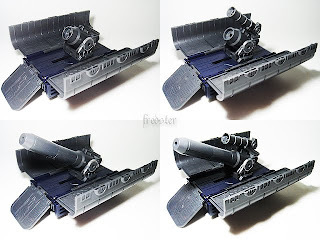 Shockwave becomes an ironclad warship. 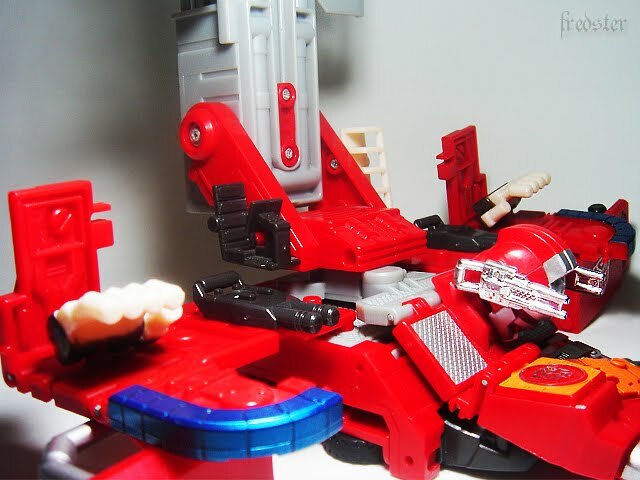 Starscream and his Seekers transform into Wright brothers-esque propeller driven aircraft. The Insecticons combine into a ramming battle train. 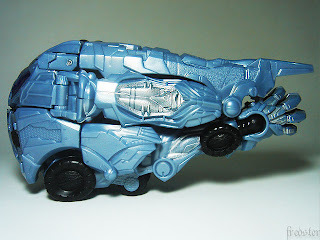 Scourge has a huge inflatable attachment that allows him to become a zeppelin. 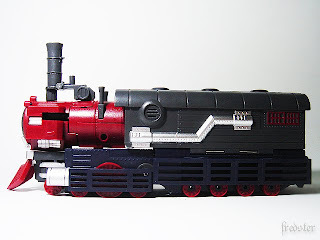 Ravage's alternate mode appears to be an engine. One of the covers also show Squawkbox with the in robot mode combining a mechanical eagle and gorilla, though they likely don't become cassettes.